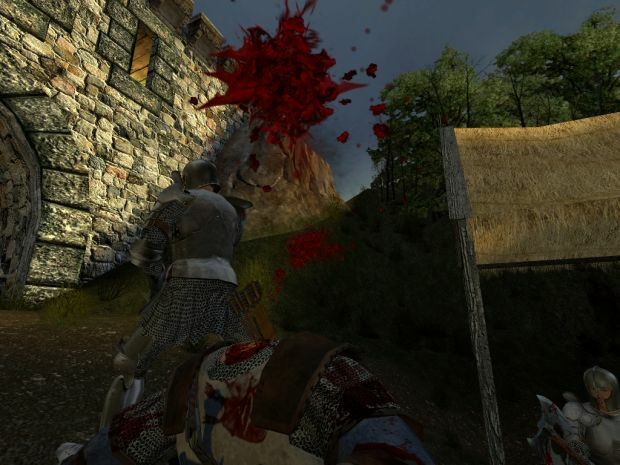 Age of Chivalry is a total conversion for Half-Life 2 currently being developed by Team Chivalry. We are a close group of friends who are dedicated to creating a fun story driven multiplayer experience set in a fantasy world in the medieval ages. We are creating a fast paced and fun first person melee combat system that will take the player to a new level of immersion. The players will be able to take part in sieges, town raids and open war in a story driven game. Our goal is to let the players write the history of the game as the teams battle it out over a sequence of user controlled map cycles depending on the victor. We want to take the overall experience to a new level of fun. All of our members have a solid modding background and we hope that you support our modification as it grows and develops! Just to list a couple features being show in these screenshots: Directional blood spurts to resemble sword slashes instead of bullet wounds, Blunt weapons will now have a chance to explode heads entirely on headshot kill deaths, catapults will completely explode players and send mangled human gibs flying and new decals for where your weapon strikes the enemy to feel more like a melee weapon not a bullet.